The House Science, Space, and Technology Committee has recently taken it upon itself to champion the First Amendment rights of dissident scientists and an unfairly persecuted multi-billionaire for-profit company. Or at least that’s what they want you to think they are doing. In actuality, they are reviving tactics reminiscent of the McCarthy era in an attempt to chill speech—the very opposite of defending the First Amendment. Earlier this month, the Dissent NewsWire reported on how thirteen members of the House Science Committee had sent letters to attorneys general, who were pursuing fraud investigations against Exxon Mobil, as well as to a number of civil society groups, including Greenpeace and the Union of Concerned Scientists. 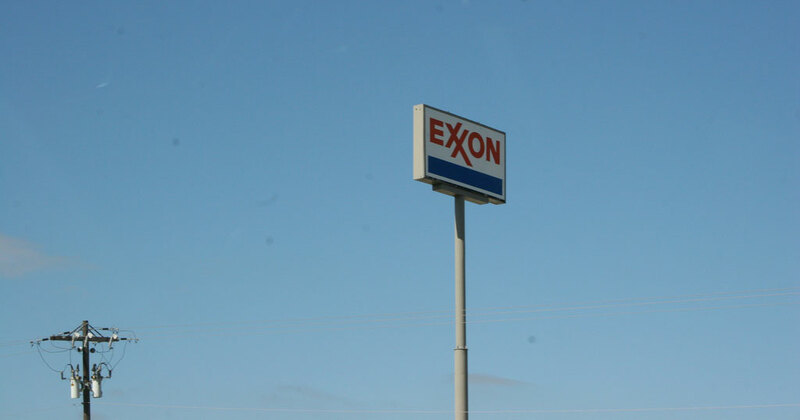 According to these letters, the committee was concerned that not just attorneys general, but also the civil society groups may be conspiring to deprive Exxon Mobil of their First Amendment rights. This second part is really strange, as it is rather difficult for civil society to violate the First Amendment—which prohibits state action. It is even stranger since what they are accusing the civil society groups of doing is essentially advocacy work, i.e. political speech that is at the core what the First Amendment protects. The idiocy of their falsely invoking the First Amendment would be comical, if it were not for the fact that what they are really trying to do is use government intimidation to chill the free speech rights of civil society groups. And let’s also be clear, many of the Congressional parties have a history of trying to silence scientists: just scientists on the other side of the “debate.” The irony here is seemingly lost on them. The thirteen members of the House Science Committee requested civil society groups turn over their communications with each other, as well as their communications with state attorneys general. Such communications are First Amendment protected activity and the committees demand for such information creates a chilling effect on speech. The First Amendment protects civil society groups banding together for the purpose of political expression. In fact, that is the whole point of the First Amendment’s protections on political speech. Additionally, the First Amendment’s guarantee of a right to petition the government protects civil society’s right to contact government officials, like state attorneys general, with evidence of wrongdoing. The letter also seems to indicate that the House Science Committee wants to know about litigation strategy, advocacy strategy, and bizarrely enough, a meeting that the New York Times reported was written up and published as a 45 page report, hardly making it a secret. If none of this make sense, recall how the House Un-American Activities Committee used to compel civil society groups to testify before Congress about their membership, internal activities, public meetings, and associations. The point was then, as is the point now, to destroy social movements through intimidation. In spite of the fact that BORDC/DDF sent the House Science Committee a letter educating them on the First Amendment, they are still carrying on with their inquisition—even though all of the state attorneys general and civil society groups have refused to participate on the grounds that the investigation is outside the committee’s jurisdiction. The latest development includes another eerie letter, this time from a group of attorneys general opposing the fraud investigation into Exxon Mobil in other states. This letter warns that the fraud investigations into Exxon Mobil not only violate the corporation’s First Amendment rights, but presents a slippery slope in which the “debate” over climate change could be resolved by competing criminal prosecutions. For example, according to this letter if “climate deniers” can be prosecuted, so can “climate alarmists,” i.e. people who make claims about the impact of climate change that are not fully realized. The letter is explicit in saying that none of the signatories wants this, but by focusing so much on it, it reads like a thinly veiled threat. Clearly this letter, like the House Science Committee’s actions, was meant to have a chilling effect on speech. While we cannot speak for every fraud statute in every state, fraud, with the exception of Temporary Assistance for Needy Families Fraud, is almost always a specific intent crime. This means in layperson’s terms that someone had set out to deceive someone or show a reckless disregard for truth and falsity in order to enrich themselves. Merely making a statement that turns out to be false or is based on a good faith interpretation of scientific data would not meet this high threshold. Fraud, like perjury, is not protected by the First Amendment. And this is where the Science Committee’s First Amendment arguments fall apart. No one is being prosecuted for merely expressing a belief that climate change is not caused by human activity or for conducting earnest scientific research that just so happens to be at odds with the overwhelming consensus of similar research. The situation is not that Exxon Mobil did not believe climate change was real and expressed their views as part of an ongoing scientific debate, and now a group of mean prosecutors and conspiring civil society groups want to shut down debate by prosecuting the other side. The situation is that Exxon Mobil conducted good faith scientific research that found that climate change was real, that it is was caused by human activity, and their product was partially the cause of it. Instead of alerting the public or investors about this, they began a campaign to spread information about climate change that their own research showed was false. Whether this rises to the level of fraud remains to be seen, but it is not a threat to the First Amendment rights of climate change deniers nor is there a comparable corollary to climate alarmists. Investigating Exxon for fraud is not going to open a Pandora’s box where “both sides” of the climate debate are hauled into court to face criminal sanctions. The issue here isn’t the reliability of scientific predictions or good science versus bad science, it is that a major corporation conducted research that found one thing and proceeded to tell the public and its investors another. People believe all kinds of things and share those views with society. There are in this day and age, people who believe the Earth is flat. And there are others who believe in an elaborate conspiracy that the Earth is hollow. There are individuals, including a tenured biologist at the University of California, Berkeley, who deny that there is a causal relationship between HIV and AIDS. There is so much information on the internet purporting that cancer is a fungus that can be cured with baking soda that major health organizations, like the American Cancer Society, have had to devote time to informing the public that there is no scientific evidence that cancer is a fungus nor is there scientific evidence that baking soda even kills fungus. While most hollow earth “theorists” are not going to be getting tenure track positions in geology departments any time soon, there is no risk of mass prosecutions of them for making statements that pretty much the entire scientific community believes to be baseless. However, baseless views can have serious consequences. Thanks to US HIV/AIDs denialists, such beliefs temporarily became the official policy of South Africa, resulting in the deaths 330,000 people. There is, of course, a fine line between a “dissident scientist,” a ludicrous quack, and the snake oil salesmen who knowingly peddles false remedies to desperate people. You are not going to face prosecution (most likely) for making YouTube videos about the healing powers of baking soda, but an oncologist who forgoes medical treatment in lieu of fungal killing baking soda will probably not have much of a First Amendment defense (the Italian doctor who pioneered this theory, while not protected by the First Amendment, was convicted in Italy of both fraud and manslaughter after one of his patients died). Nor would a court refrain from weighing in on such a matter on the grounds that there was ongoing scientific debate on cancer. While there is is scientific discussion and debate on what causes cancer or what the best course of treatment is, just like there is a debate on the extent of the effects of climate change or how best to mitigate them, there is an overwhelming consensus that baking soda does not cure cancer. Further, while judges are not the people we want making decisions about the cutting edge of science, federal and state courts have developed a test for when scientific evidence can be admitted, hence why polygraphs, which have no basis in science, are barred in most courts. Thus the entire thesis that courts cannot handle the Exxon Mobil fraud allegations, because of the ongoing scientific debate is nonsense. This is to say nothing about the fact that while there may be a debate at the political level about climate change, there is significantly less debate amongst scientists. The political debate over the scientific consensus on climate change has led to violations of academic freedom, that climate scientists, including Nobel Laureates, have called a form of McCarthyism. For example, Sen. James Inhofe, currently chair of Senate Committee on the Environment, has discussed actually prosecuting climate scientists for politically motivated reasons. Members of Congress have threatened to cut federal funding to agencies like NASA and National Science Foundation, in part over their conducting research in line with the scientific consensus on climate change. The House passed a bill barring scientists from sharing their own research with the EPA, a clear violation of the First Amendment’s Petition Clause. And on the state level, Florida has barred state employees from saying the words “climate change”. Intriguingly enough, none of these climate McCarthyist assaults on the First Amendment have been aimed at climate deniers, but scientists whose research fits within the overwhelming consensus of climate scientists. To make matters more interesting, not only have the would-be First Amendment crusaders on the House Science Committee been silent on this actual climate McCarthyism, they have participated in it. When we look at the current HUAC-like tactics being employed by House Science Committee and a group of AGs, we can see yet another instance of climate McCarthyism.